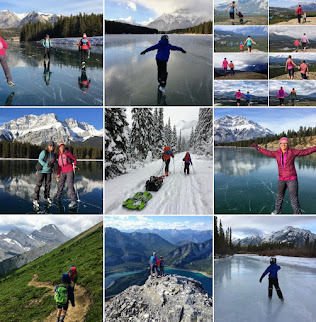 Family Adventures in the Canadian Rockies: Small Feet, Big Land - Book Review AND a Giveaway! 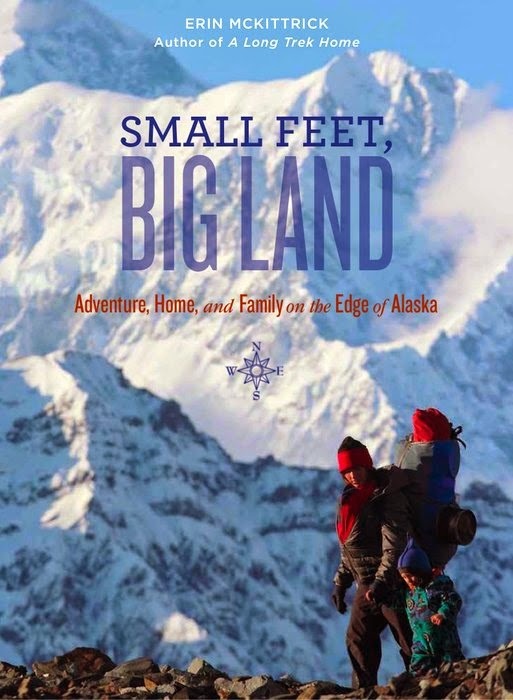 Small Feet, Big Land - Book Review AND a Giveaway! Today, I'd like to introduce you to Erin McKittrick and her family who live in the tiny village of Seldovia in Southcentral Alaska. 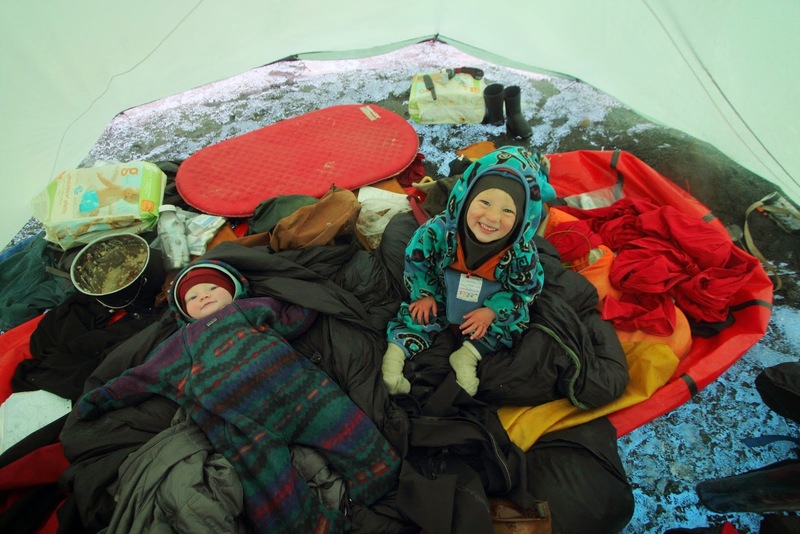 I've long been intrigued by this family ever since discovering Erin's blog, Ground Truth Trekking, and her incredible photography showcasing the realities of raising small children outside in a very big (and wild) land. Imagine raising two small children in a one-room yurt. 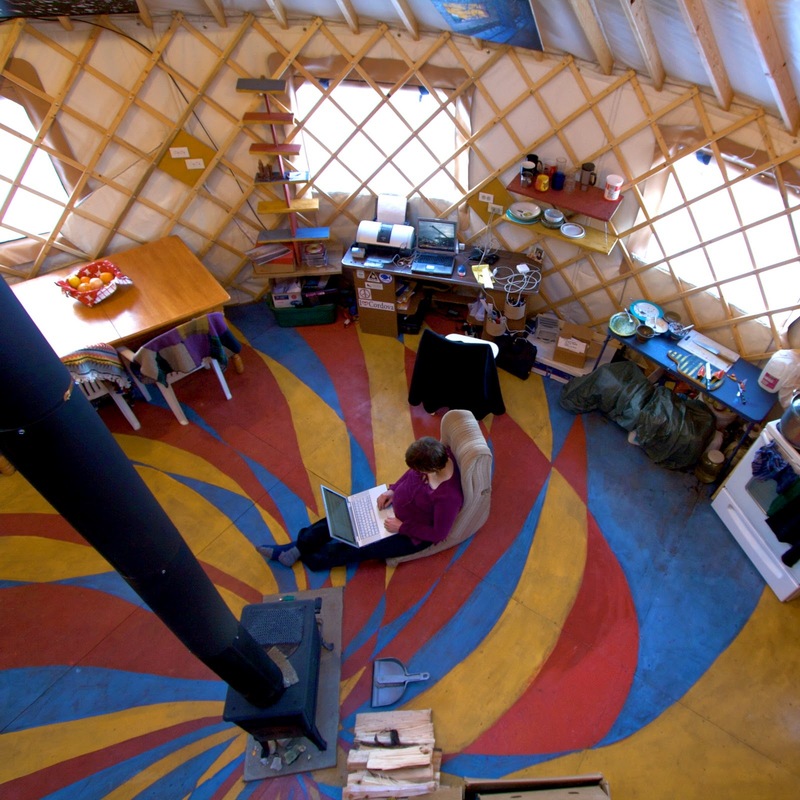 If you don't know what a yurt is, it's a round cabin of sorts made out of wood and fabric, and there are no bedrooms unless you use curtains to partition off a private space. They generally don't have bathrooms and Erin's yurt has no indoor plumbing which means no shower or bath tub. If you're lucky, there is a wood stove in the center for heat but that's it. Run out of wood for your stove and you run out of heat. And Alaska is not exactly known for its warm or mild winters. Erin has written a fascinating book about her family's day to day adventures in Seldovia blended together with their scientific explorations to document and research climate change in Alaska. Not being much of a scientist myself, I have to admit that the everyday stories in the book were the most interesting to me. I loved reading about the daily challenges that made up the family's simple lifestyle in the yurt. For example, Laundry and showers required trips into town, 3 miles away. The trip to town would often be made on snowshoes in the middle of the cold Alaskan winter. And just reaching the village of Seldovia requires multiple flights with the final leg done by ferry or a small Cessna plane. Erin narrates an intriguing story of "pioneer" life that includes storing vegetables, fish, and fresh meat for the winter (vegetables grown from their own garden and fish often caught by their own hands.) Wood must be chopped and stacked to last the winter and while supplies can be ordered or purchased in town, nothing comes easily like it would in my big city. 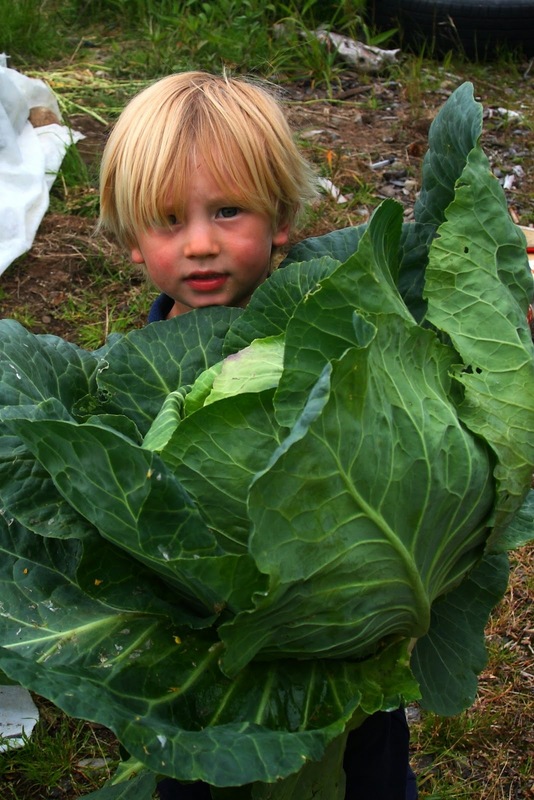 "There's something intensely satisfying about providing food for myself and my family - growing it, catching it, gathering it, seeing it appear from the very land around me. When the pie is made from berries I've picked, when the salad comes from veggies I've grown, when the fillets come from fish I've caught...it's not just food. It feels magical." Erin's book is full of poignant lessons on simplicity. I was captivated constantly by Erin's descritions of acting out stories told from imagination rather than from library books they didn't own, making toys out of drift wood, mud, and boulders instead of Lego or plastic blocks. And I'm pretty sure her children still don't know what a video game is. Blissful simplicity! "Small Feet, Big Land" is bursting with inspiration for those of us who would struggle with daily gratitude. Choosing to live without showers and flush toilets, this amazing family chooses to embrace and be thankful for the basics from warmth to family, love, and a community where they can feel safe and embraced by like-minded people. "We live on the doorstep of wilderness, with a million-dollar view, space for a garden, a close-knit community, a cheap and debt-free lifestyle, and a schedule nearly entirely of our own making. Could I have all that and all the conveniences and comforts of urban life? Maybe, with enough money. But what would I give up to earn it? And with that quote, I stop to ask myself what I myself have given up so that I can live in "comfort" within my three bedroom house that possesses not one but four bathrooms. Erin's book is divided into four parts with the second and fourth parts focusing on their scientific expeditions and huge month-long journeys that the family would take to study climate change and its impact on remote Alaskan villages - while bringing their two children with them! I mentioned earlier that I'm not much of a scientist myself but I still found these parts of the book completely fascinating because I'm not sure I could embark on the kind of adventures Erin and her husband do for their research. And certainly not with kids in tow! 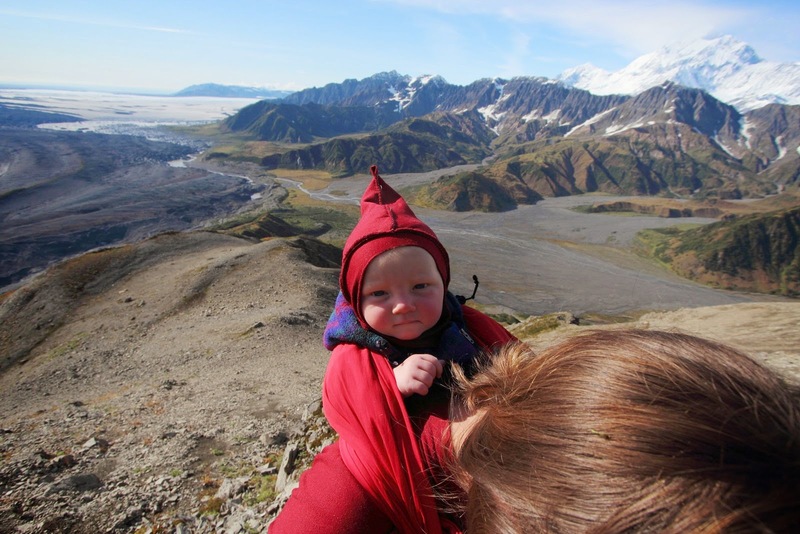 Erin and her husband Hig first start off with an eight-day journey as a "test" of sorts to see how possible a month long trip would be with their first child Katmai, a toddler at the time. Later in the book, they progress on to a much more epic journey where they plan to spend "two of the wettest months of the year in one of the wetter places on the planet on the vast icy lobe of Malaspina Glacier." - and I love how Erin explains the "craziness of the idea" below. "We'd planned for the middle of nowhere before. But here, the middle of nowhere collided with harsh weather, unknowable terrain, and a stretch of time four times longer than we'd ever spent entirely in the wild. 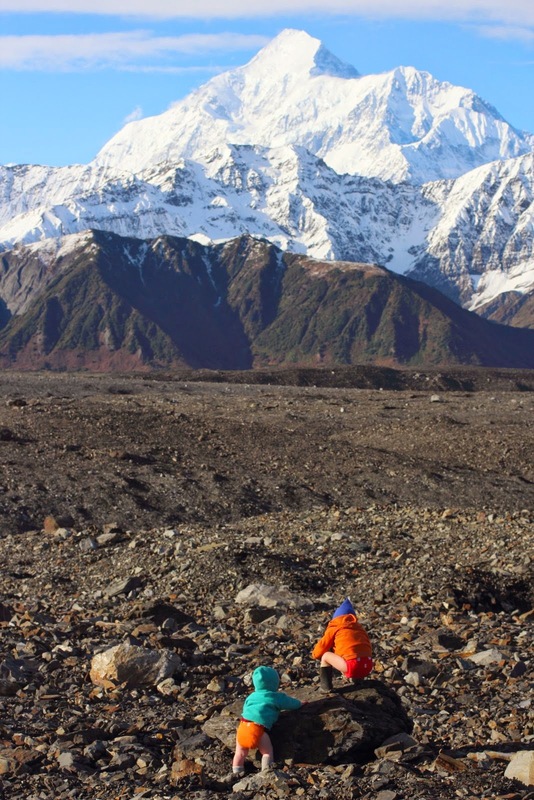 And our expedition team included an eight-month-old baby who couldn't yet walk, and a two-and-a-half-year old toddler who walked only in wandering circles between streams and bugs and climbing rocks. Despite our best efforts, neither were potty trained." Personally, I found the family's two month expedition to be very inspirational and I received a powerful lesson in the importance of slowing down. Erin talks about how they had done the same trip four years earlier but had missed seeing the same lakes, had failed to notice the detail, and had travelled the same distance in a morning that it was now taking a week to travel with the kids. And while Erin admits that the pace was often glacial, she also says that "feats of observation took over from feats of athleticism." I could actually go on for another thousand words on how much I learned from Erin's book. I have pages of notes I took on my reflections on comfort, thoughts on introducing children to the concept of wilderness at such a young age, and lessons I took away on family bonding through adventure. However, I'd rather give you the opportunity to read the book for yourself and then to let me know what you think. Mountaineers Books would like to give away two copies of Erin's book to two lucky readers. To enter, reply with a comment below telling me why you would like to read this book and what you hope to take away from it. A bonus entry will be counted if you follow Erin on Twitter at @Erin_McKittrick and or on Facebook at Ground Truth Trekking. Please let me know where you follow Erin in a separate comment. The contest is open until midnight on the night of October 28th (mountain standard time) and winners will be drawn randomly and contacted on October 29th. Please make sure you leave email contact information in your comment (or sign in via a social media account I can reach you through.) If I can't contact you, I will choose another winner. Disclaimer: A review copy of this book was provided to me but as always, my opinions and thoughts are my own. All photos were used with permission from Erin's website and are her property. Wow! I too am not a scientist but am curious to read about the adventures with young kids and how they do it. 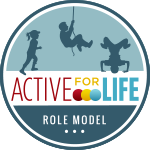 The general simplicity of life -something that seems almost impossible in a bit city so parents have to be more intentional. It's been added to my want to read book list! I'd love to read this read book for the inspiration and the reminder that modern necessities are really conveniences. How awesome! My husband and I spent 5 weeks camping in the Yukon for our honeymoon and are so eager to share similar Northern experiences with our daughter. This book (similar to your blog : )) would help give some ideas and confidence to do so. I've followed Erin on facebook as well. I'd love to read this book because I'd love to live that way too! Oops, looks like my first comment didn't post. This looks like a great book! I grew up in Anchorage (the big city) and now live in Calgary. I travelled and camped all over Alaska as a child with my archaeologist parents, but find I am struggling to give my almost 2 year old the same experiences. I would love to read this book (as well as your blog, which I just found) for inspiration! Wow, Erin's book sounds amazing. I would love to read it to find out how she and Hig have accomplished the minimalist lifestyle that I always envisioned myself having but didn't actually end up with, as the comforts of modern life are very easy to get used to. I follow Erin on Twitter. I would love to read this book, as my husband and I are currently trying to simplify our lives, and live without all the excess that is so easy to bring in. Despite all of our privleges, we are somehow always 'needing' more. This book would really be an inspiration, and a testament to just how little we can live with. It's also a value of mine, to get my son outdoors more and have him grow up among nature, climbing trees, throwing rocks and scraping knees. I'd love to read of all her adventures with her little ones. I'm really interested in reading this book. 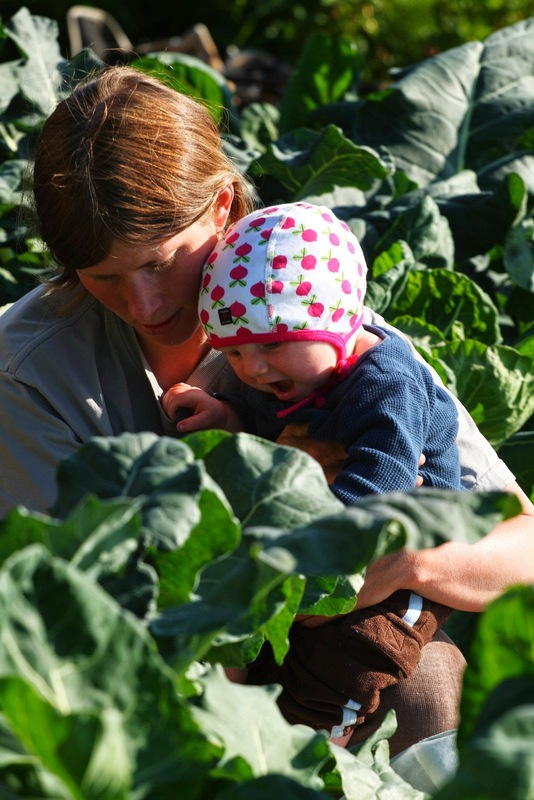 It's amazing to me that this family can live away from civilization for long periods of time with their little ones. I have a 5 month old and a 2 year old and we're doing our best to get out into nature, but I'm still pretty nervous about potentially encountering a bear when going further away from the city. Reading this story will hopefully give me more courage to expose my children to more of the outdoors so they can also learn to respect and love it as I do. I would love to read this book because I find it fascinating, living on essentials and the amount of gratitude it can stir after living in modern society. And to think we find it difficult to keep it together with all of our commodities! I didn't realise she's written books and had a blog! Very exciting. I'd love to read her more about her life because, well, if she's able to trek in Alaska with small children, there are fewer limits to being an outdoors family than I thought! Not only is her life interesting in its own right, it will help me to tackle an overnight backpacking trip or two in the Rockies with my littles. Thanks for this opportunity, Tanya! And I've followed Erin on twitter. And I've followed Erin on Facebook. I've followed Erin on twitter as @absentlibrarian, and also on Facebook as Jo D. Ann. I follow Ground Truth Trekking on Facebook. After finishing their first book about a month ago, I am looking to delve into their next book, Small Feet, Big Land. I can't wait to read an adventure book/memoir where children are part of the journey. 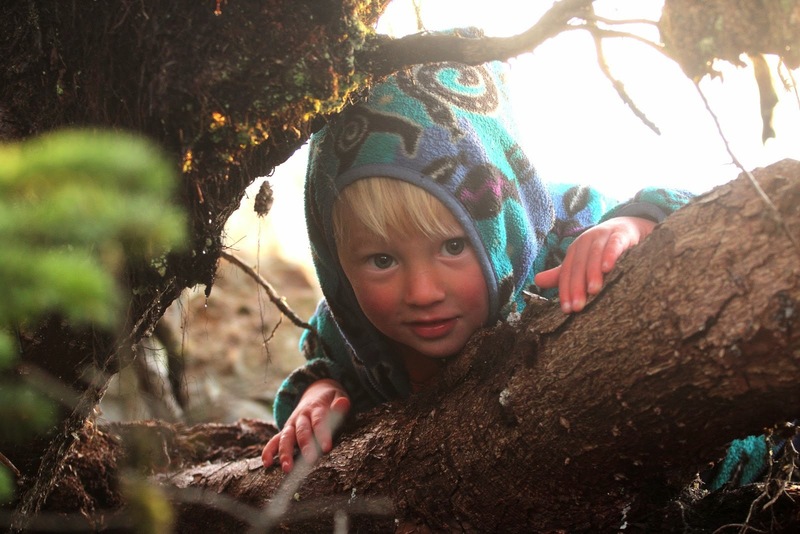 Children's mindsets and eyes open up a new world to most of us who are older, especially in the wilderness. I'd love to have some inspiration in book form to enjoy over the winter holidays. 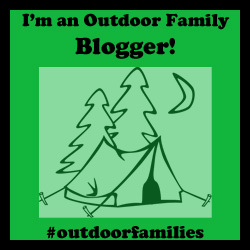 I love backcountry camping/trekking and would love to read how they made it work with little ones. I have similar passion to Erin and Hig and have been inspired by their adventures. 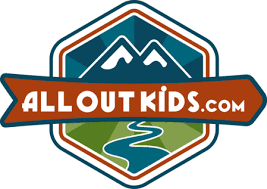 I love to take my kids (we have 4 under the age of 7) packrafting and exploring and would greatly appreciate insight into adventuring with the brood. I follow Erin on Facebook. I would love to read this book. The idea of living in Alaska in a yurt with my family sounds great but is pretty unlikely to happen. The ideas of slowing down and living simply - outdoors - really resonate with me...and to accomplish this with children is truly an inspirational accomplishment. I am also following Erin on Facebook. I would love to own this book! I would read it with my heart wide open to the Alaska I love! I would share it with people younger than I am, hoping to inspire them to have ADVENTURES while their children are with them to share those good times. Too many of us wait to have our adventures when the children are grown and gone. Thanks for this opportunity! I'd love to read this book! It sounds like there are a lot of life lessons and insightful views to be found between the covers. What an adventure.. I'd love to read Erin's book as I too have two kids - ages 8mo and 2y8mo and I aspire to live life away in the wilderness (in a yurt!) providing sustenance with our own hands. I'm sure there's lots of inspiration and knowledge to be taken away from the book! I also liked Ground Truth Trekking Facebook page!